Sc./B.Tech. from a recognized institution with a minimum of 2nd Class Lower Division plus a Professional Certificate in Security Training from a reputable institution. SSCE/NECO/WASCE/GCE O/L Credit in 5 subjects including Mathematics and English is compulsory. In addition, candidates must be a duly registered member of the Nigerian Institute of Security (NIS) and must have a minimum of 19 years post qualification relevant experience in a University or other institutions of higher learning or related recognized organisations. Experience in relevant arm of Law Enforcement or any of the Armed Forces at a Management/Senior level will be an added advantage, such experience should be supported with a career profile. Applicants should have the experience and drive to motivate other security personnel as well as provide excellent security coverage for the whole University community within approved schemes and calendars. All applicants must be ICT compliant. In addition, there will be IT proficiency test for all applicants. As contained in the University of Lagos Revised Conditions of Service. 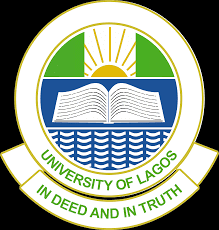 The remuneration and other conditions of service are as contained in the University of Lagos service of condition for senior staff. Applications are to be addressed to the Deputy Registrar (HRMD), 2nd Floor, Senate Building, University of Lagos, Akoka indicating the post for which application is made at the top left corner of the envelope. Candidates are also expected to log into recruitment.unilag.edu.ng and complete the online application and print out.The printed online application form along with the hard copies of the application should reach the Deputy Registrar (HRMD) not later than forty-two (42) days from the date of this publication.